An AHTS is an offshore supply vessel specially designed to provide anchor handling services and to tow offshore platforms, barges and production modules/vessels. 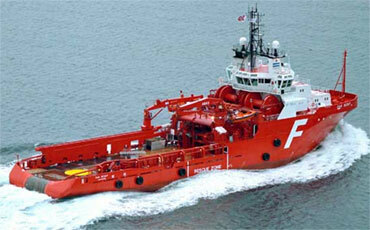 The vessels is also often used as standby rescue vessels for oilfields in production. The AHTS is then often equipped for fire fighting, rescue operations and oil recovery. The AHTS is also used in general supply service for all kinds of platforms, transporting both wet and dry cargo in addition to deck cargo. The focus has been on the vessels’ winch and engine capacities as oil activity has moved into deeper and deeper water in order to offer the oil companies a safe and efficient operation in the challenging conditions of the deepwater area.